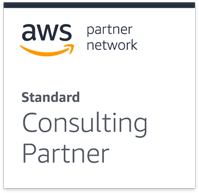 Sabir Mustafa is an AWS Solution architect, experienced in automation of large-scale deployments with modern configuration and deployment management systems on AWS. He performs analysis and evaluation of environments to assist with provisioning cloud solutions and has an ability to implement the scalable architecture. If you want to walk away with awesome information on AWS Containerization, be sure to save your seat. Register now and be a part of this free webinar session!